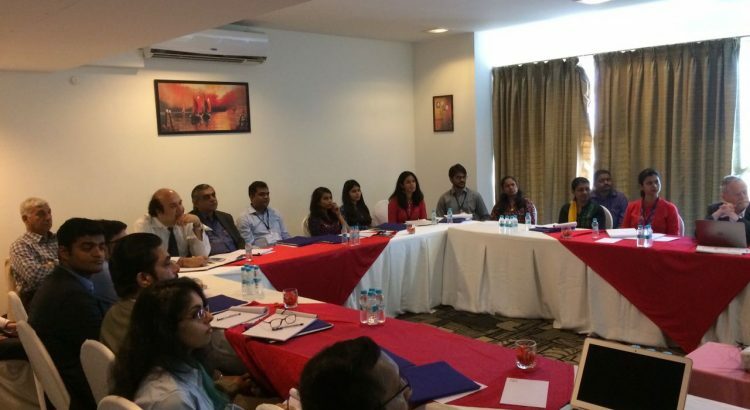 CTIER in association with the United Nations University-Maastricht Economic and social Research Institute on Innovation and Technology (UNU-MERIT), and Confederation of Indian Industry recently organised a 5-day programme titled the Design and Evaluation of Innovation Policies (DEIP). The programme was conducted by distinguished faculty from UNU-MERIT and the Centre for Development Studies, Trivandrum and was held at the Royal Orchid Central in Pune between the 20th and the 24th of March, 2017. The timing of this programme was particularly pertinent, given the government’s push to improve India’s ranking in the global innovation index as well as the recent launch of the India Innovation Index on the 31st of January 2017. The programme was meant for senior and middle level officials of central and state ministries involved in the measurement of innovation indicators and science and technology policy, as well as personnel from the private sector involved in strategic planning and business excellence. There were representatives from the Science and Engineering Research Board, the Department of Industrial Policy and Promotion, the DST-Centre for Policy Research (Panjab University), the Kerala State Innovation Council, academics working on technology policy and representatives from Industry. The class size was intentionally kept small (around 20) to facilitate greater dialogue and debate during the sessions on India’s innovation system. The lectures covered a wide range of topics from gaining a systemic perspective in understanding the generation and diffusion of innovation to the study of new and conventional indicators for measuring innovation. A lecture on multinational investments brought home the role played by multinational corporations (MNCs) globally – the 300 largest MNCs account for 70 percent of FDI globally and MNCs employ around 75 million people globally. India is one of the top global destinations for MNC R&D activity and of the top 100 R&D spenders globally, over 80 have a presence in India today. The right policies and monitoring mechanisms to better capture the spillover to the Indian economy need to be established to ensure the success of research, the development of the local talent pool, increasing employment opportunities and consequently higher value-added products as part of Make in India. The participants were also introduced to financial and non-financial instruments that are used to promote R&D at the firm level. India has one of the most generous tax incentives – a weighted tax deduction of 150 percent – that policy makers could perhaps consider tailoring this to small and medium enterprises that are most likely to benefit from these kinds of schemes. The role of public procurement and grants too was visited – the successful development of ISRO’s cryogenic engine and the “mission mode” approach that involved small and large domestic industry partners often raises questions as to whether this is perhaps one of the most efficient modes in the Indian context to translate and commercialize the R&D and innovative capabilities of some of the smaller firms in India. The importance of education in fostering innovation was also addressed. The need to use both input and output indicators to measure educational performance as well as ways to improve quality such as problem based learning (PBL) techniques were debated. The participants also had a glimpse of the tools and techniques used in academic literature to evaluate policies – rather than suggesting a prescriptive approach to evaluating existing policies in India, the takeaway was the need to define a framework and the role of indicators in tracking the progress of policies that have been introduced to promote innovation. The concluding lecture was on the Nano project (delivered by Dr. Narvekar of the Tata Management Training Centre), which gave a fascinating insight into the mindset, the learning and the approach to innovation taken by the largest contributor to India’s industrial R&D – the Tata group. The unique feature of this particular DEIP programme was the introduction of industry visits for the first time, organised to complement the classroom discussions – there were three in total. The visits were to the new manufacturing facility of Forbes Marshall Pvt. Ltd at Chakan, Divgi TTS Pvt. Ltd at the Maharashtra Industrial Development Corporation (MIDC) industrial estate and the National Chemical Laboratory(NCL), Pune. 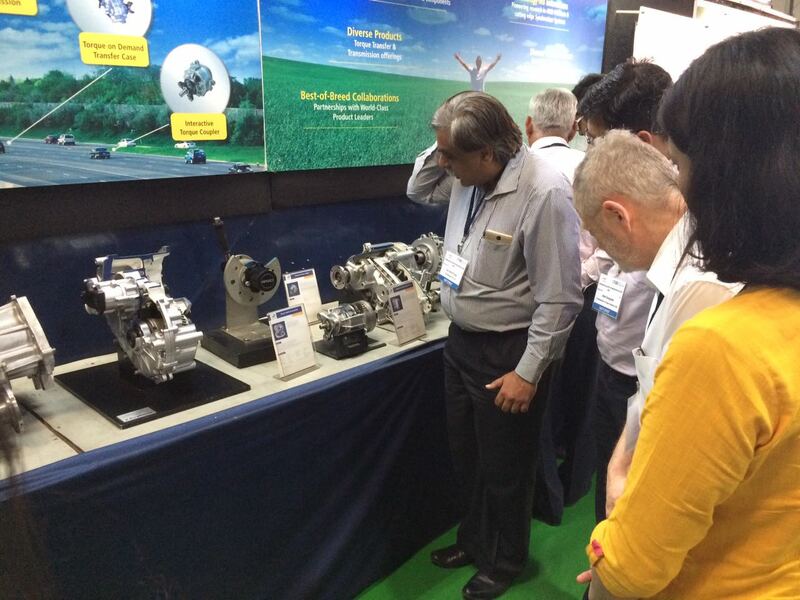 The industry visits provided the participants an opportunity to appreciate innovative activities within industry and the public research system – and also identify bottlenecks that may require certain policy interventions to ensure a smoother functioning of India’s R&D ecosystem. We intend for this to be an annual event and look forward to continued participation from various stakeholders in India’s innovation system.